As the pressure to succeed academically is imposed on children earlier than ever before, it is essential to understand what characteristics are most important to parents and teachers in order to be school ready. While formally readiness is typically measured using chronological age and mastery of cognitive skills, it also involves physical, behavioral and social-emotional development. Variability exists culturally as to the importance of these various early school readiness characteristics. Moreover, while parents and teachers generally agree, discrepancies between parents and teachers on the importance of specific components for early school readiness arise. 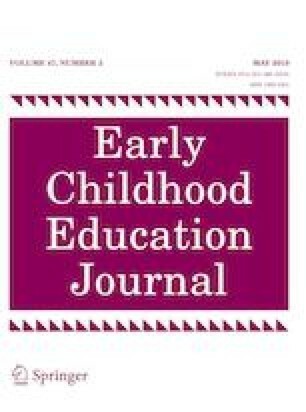 In the current study, we examined which characteristics of early school readiness were deemed most and least important according to parents and teachers of 30–42 months old children. Our findings indicate that teachers and parents agreed upon the relative importance of early school readiness components. For both groups, being healthy, happy, and socially skilled were generally ranked as more important than cognitive abilities in the preschool aged child. These conclusions are promising because children’s success is facilitated when parents and teachers share beliefs on which skills children need to successfully transition into the classroom environment. All procedures performed in studies involving human participants were in accordance with the ethical standards of the institutional and/or national research committee and with the 1964 Helsinki declaration and its later amendments or comparable ethical standards. This research protocol was reviewed and approved by the Institutional Review Board prior to data collection. Given that this was unfunded research, federal wide assurance requirements did not apply. The research methods qualified for expedited review as stipulated in the Code of Federal Regulations policy regarding human participants in research (Title 45 Public Welfare CFR Part 46 Protection of Human Subjects Subpart A, Federal Policy for the Protection of Human Subjects, 45 CFR 46.110) because the research involved the collection of identifiable data using survey methods and research on individual characteristics or behavior, but reasonable and appropriate protections were implemented so that risks related to invasion of privacy and breach of confidentiality were minimal. Informed consent was obtained from all individual participants included in this study. Confidentiality was maintained by de-identification of the responses. Participant’s names were never directly connected with their responses. The study data is stored on a password protected computer and in locked file cabinets in the principal investigator’s locked office.